Whitney Houston (born on August 9, 1963 in Newark, New Jersey, death announced February 11, 2012 in Los Angeles, California) was a Grammy and Emmy Award winning American R&B/pop singer, actress, former fashion model, record and movie producer. 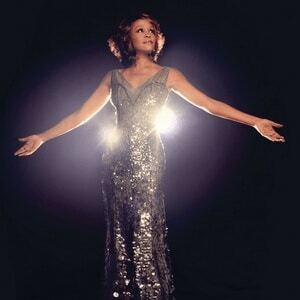 Whitney Houston is one of pop music's best-selling music artists of all-time, with more than 200 million combined albums, singles, and videos sold worldwide. She was known for her soulful dramatic mezzo-soprano voice, vocal power, range and melismatic skill.